City of Sydney residents can pick up a FREE "No Advertising Material" sticker for their letterbox to help prevent unwanted junk mail. One Stop Shop, Town Hall House. 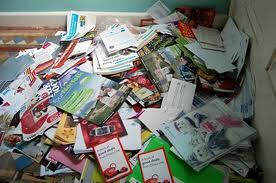 Here are some other contacts to help cut down the amount of unwanted mail you receive. "No Advertising Material" stickers can be ordered from the Distribution Standards Board on 1800 676 136. Ever saw piles of yellow pages in front of buildings and wondered: "What a waste?" Just register to stop them! Register to STOP receiving White or Yellow Pages by calling Sensis on 1800 810 211 or at directoryselect.com.au. Click here for more information. Register your name on the Australian Direct Marketing Association’s Do Not Mail Service to stop contact from ADMA members. Source City Of Sydney Website. 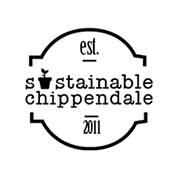 Let's keep Chippendale Streets clean and tidy! If you would like to keep receiving your junk mail at least make sure that whatever ones you do not want to read end up in the recicling bin not on our sidewalks! We all wanna live in a beautiful place, right? Collection of White Good and large Household Items, for FREE! !